Founded by a banker, Alfred Nehemias, and an engineer, August Eberstein in 1906, the company began as the Simplo Filler Pen company. They advertised themselves as ‘Manufacturers of high-class gold and fountain pens’, and concentrated on the relatively new technology of making pens with a ‘built in inkwell’. In 1908, businessman Claus Johannes Voss joined the company and they set up their headquarters in Hamburg in Germany. The company was renamed ‘Montblanc’ in 1909, apparently as a result of a comparison between the highest mountain in the Alps and this pinnacle of writing instruments. The ‘Meisterstück’ fountain pen was first introduced in 1924, and became the most celebrated pen of all time. 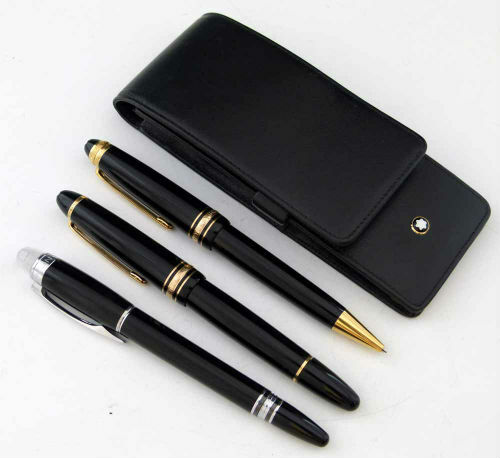 Today, Montblanc continue to make fine pens but have also expanded into watches, leather goods and other luxury items. 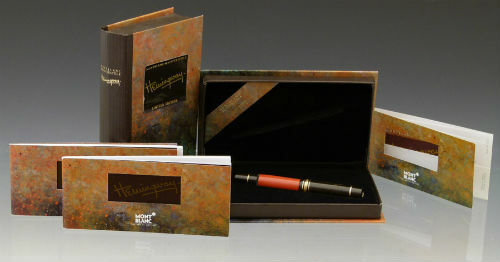 Montblanc pens sell well at auction, with their fine craftsmanship and quality making them a favourite with collectors. Particularly popular are examples that represent the company’s history, such as early examples dating between 1910 and 1913, when the company badge was a white tip on the cap rather than a white star. The famous rounded star, representing Alpine slopes, was introduced in 1913 and has appeared ever since, and good, early examples are much sought after. As with all potentially fragile items, the value of Montblanc pens is largely dependent on the age and condition of the individual piece, and the most sought after items are those in good condition. A copy of the original lifetime guarantee (first introduced in 1933) will add value, as will an original case or proven connection with a famous owner. Below are a few highlights, or click here to browse our Sold Lots Archive. Find the things you love using our free Lot Alert service - simply enter what you're looking for and we'll send you an email when an item matching your interests comes up for sale in our auctions.